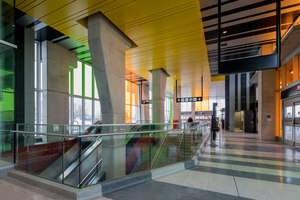 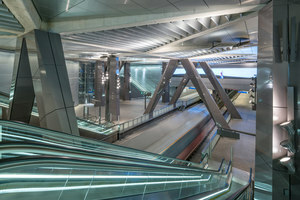 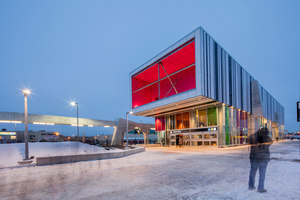 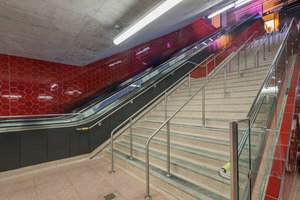 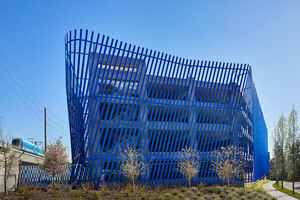 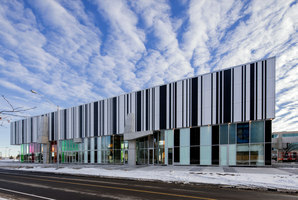 Will Alsop’s practice, aLL Design, in collaboration with The Spadina Group Associates (TSGA), a joint venture of IBI Group, LEA Consulting Ltd. and WSP, have designed and completed two of six stations on the Toronto Transit Commission’s (TTC’s) new TYSSE (Toronto York Spadina Subway Extension). 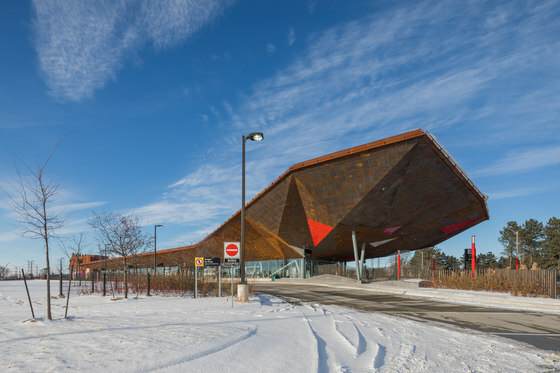 The Toronto-York Spadina Subway Extension Project will provide a critical extension for the existing TTC subway system across the municipal boundary between the City of Toronto and The Regional Municipality of York. 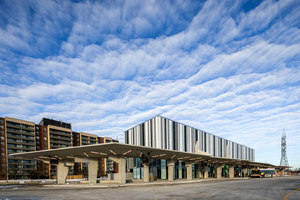 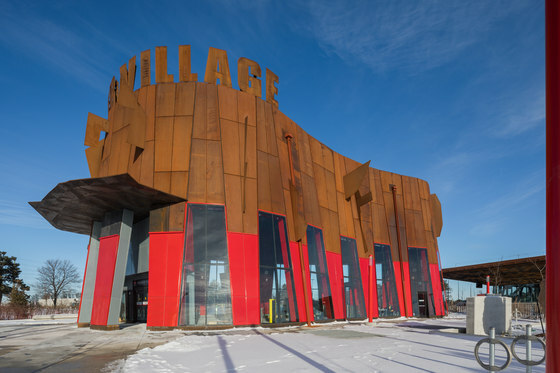 The location is otherwise underdeveloped and it is intended that the station entrances and bus terminals will create a public focal point that will serve the future development of the surrounding area, beginning with Steeles Avenue West. 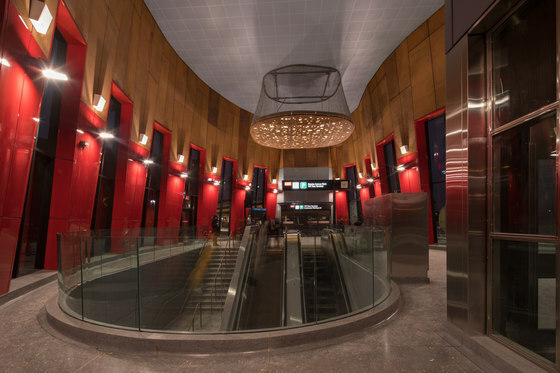 The subway station’s entrances were designed as a pair of sculptural structures; their height exceeding that necessary, to increase their visibility - 'We learn a lot from cathedrals,' said Will Alsop. 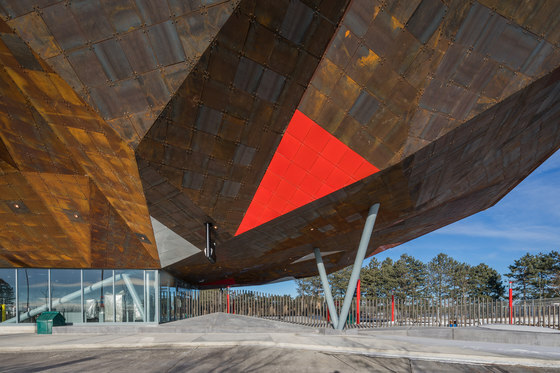 Rendered in weathering steel, these two structures mirror each other in shape and scale. 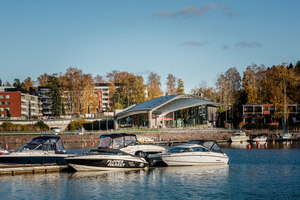 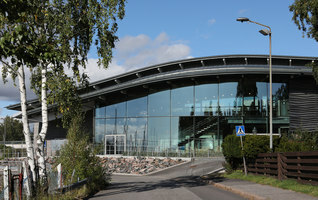 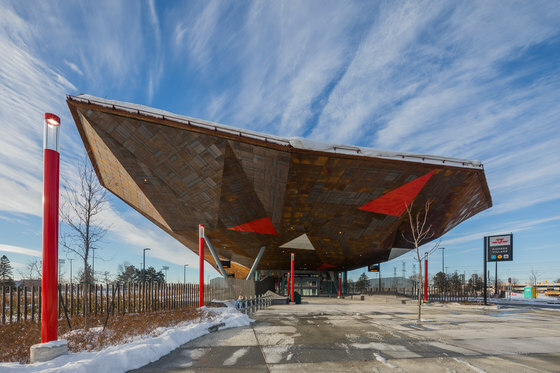 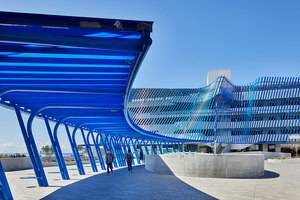 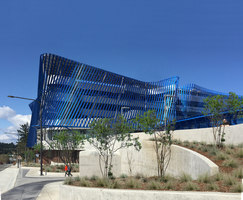 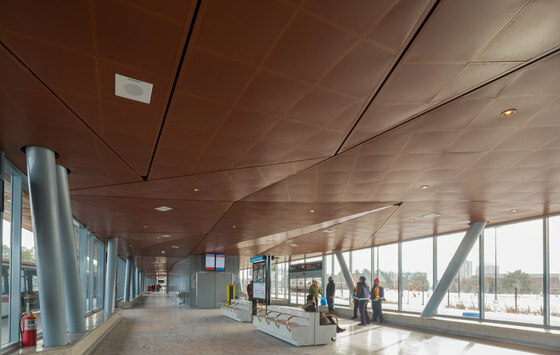 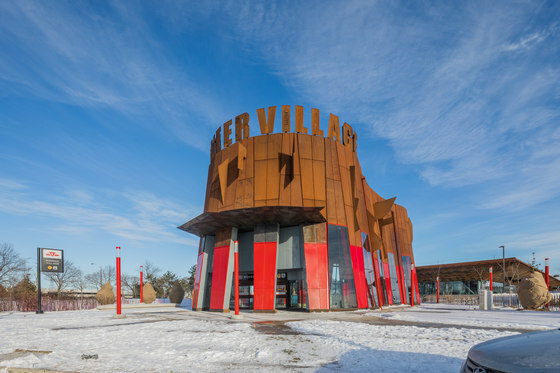 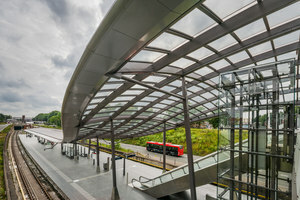 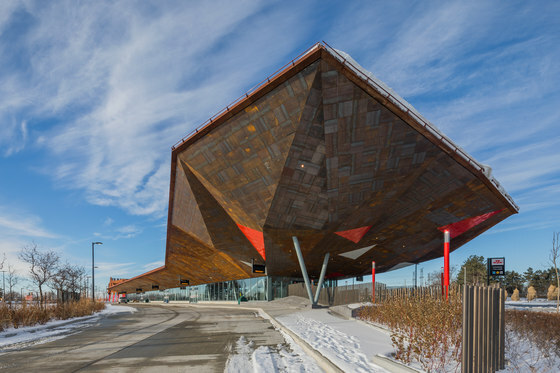 The bus station canopy – also Corten steel – has a huge cantilevered roof, the surface of which is planted with meadow grasses, to create a ‘green-roof’ and to provide shelter for waiting passengers. 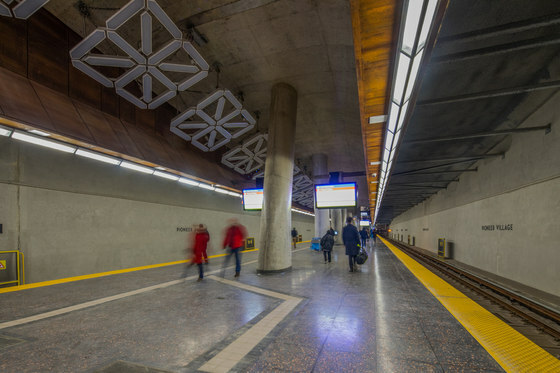 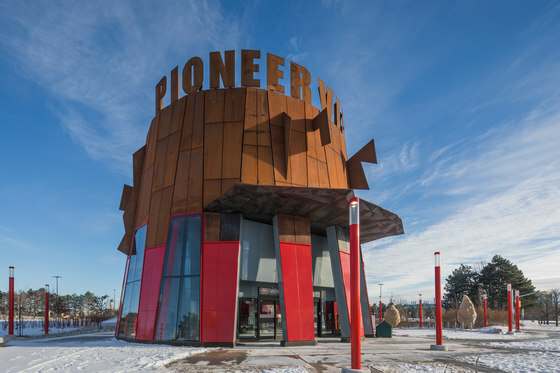 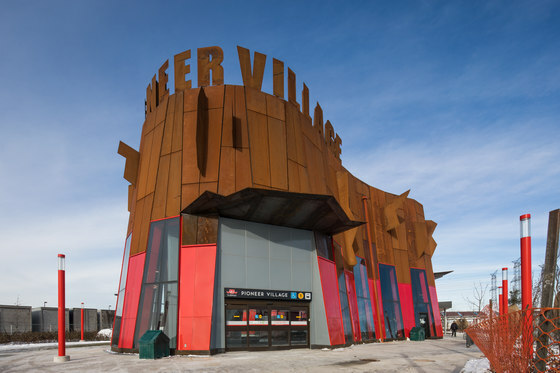 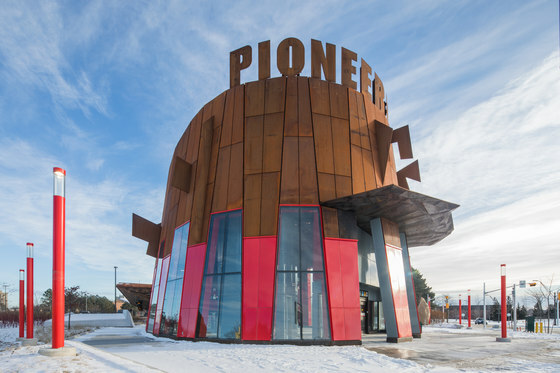 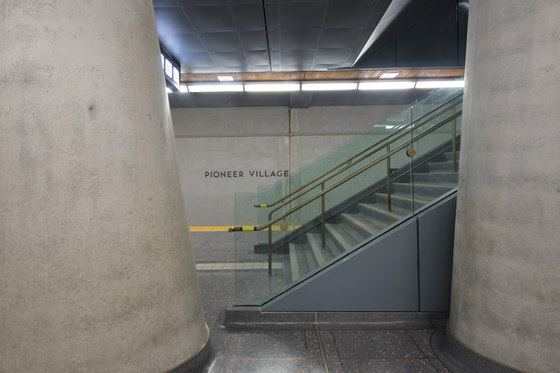 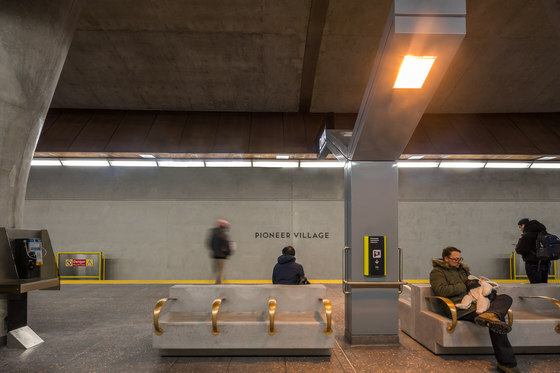 Both Pioneer Village station and Finch West station comprise beautifully executed concrete work – in Pioneer Village the interior walls are faceted, highly-polished concrete and the supporting columns along the length of the platforms are angled and ovoid in section. 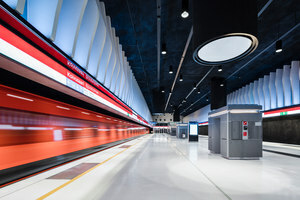 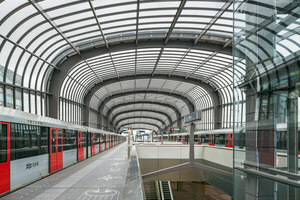 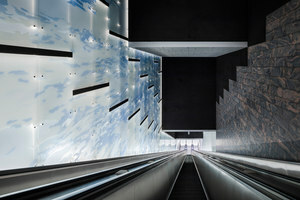 Public Art Installation: “LightSpell”, designed by realities:united, Berlin, is a “super sculpture”; a hybrid between art and the lighting of the subway station. 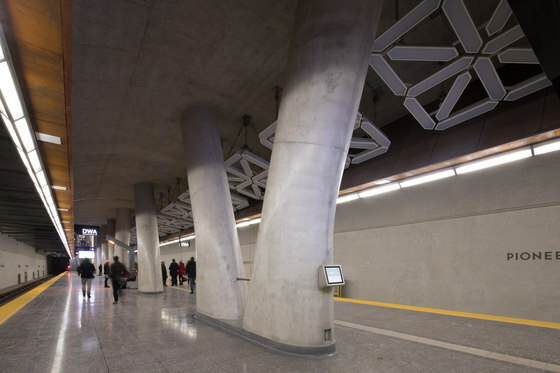 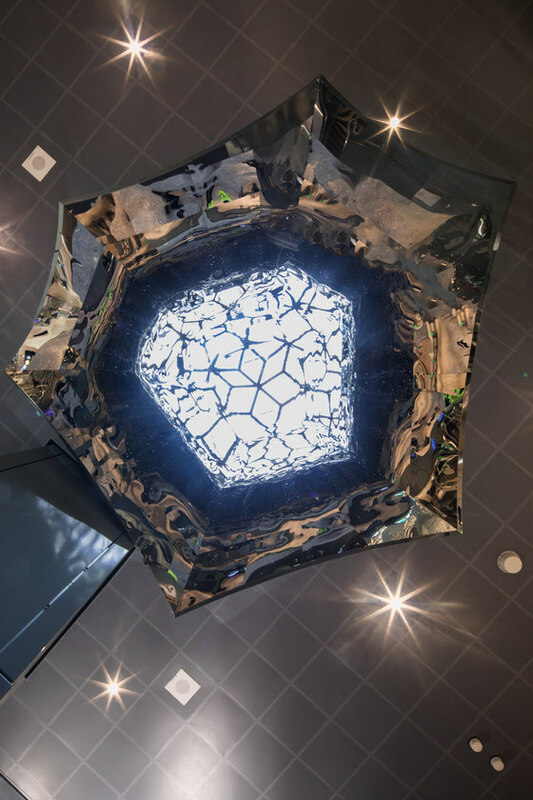 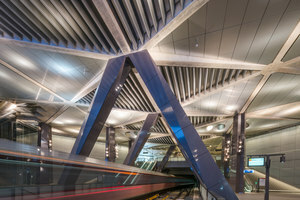 The interactive installation consists of a suspended array of 40 light elements that run along the ceiling throughout the station. 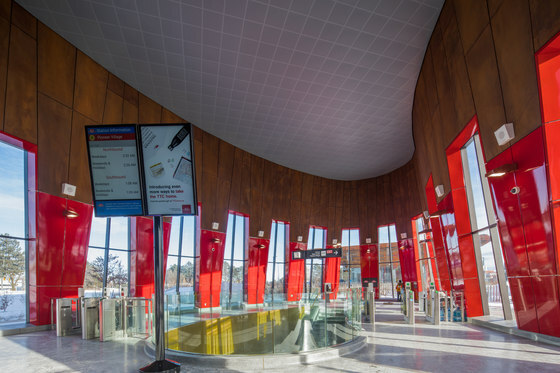 Each element produces the alphabet; special characters and numerals, enabling passengers to send messages that appear on the display. 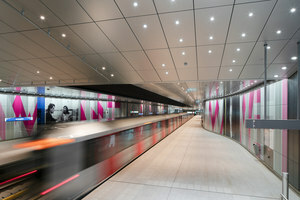 The debate on censorship of this installation is ongoing.